From summer road trips to our morning commutes, we all spend a lot of time in our cars — but we don't always spend enough time thinking about safety. Carrying a good car safety kit can help you avoid being stranded with a flat tire or help emergency services find you if a camping trip goes awry. And if you know what to put in it, an emergency kit isn't tough to put together. Here are ten gadgets, from high-tech GPS locators to simple emergency escape tools, that could be a good fit for your own emergency kit. Though you might not think of it as part of an emergency kit, you'll be glad to have a charger handy if your phone runs out of power when you're in distress. A smartphone can be the most important piece of safety gear you have, letting you call for help, find your way if you get lost, snap photos of damage if you're in an accident, and even offer first aid help. But it can't do any of those things if the battery's dead, which is where the Jackery Bolt comes in. With built-in lightning and micro USB cables, you don't need to remember to pack cables: all you need to charge up is the battery pack itself. This 10050mAH model has the power to charge an iPhone 8 over three times, a Galaxy S9 over two times and an iPad 9.7-inch once. (And, if you're traveling with kids, having their entertainment center run out of power could qualify as an emergency, too.) You just have to remember to charge the Jackery Bolt occasionally, so it's ready when you need it. While a smartphone can do a lot to help you get around, a dedicated GPS for your car has its advantages. 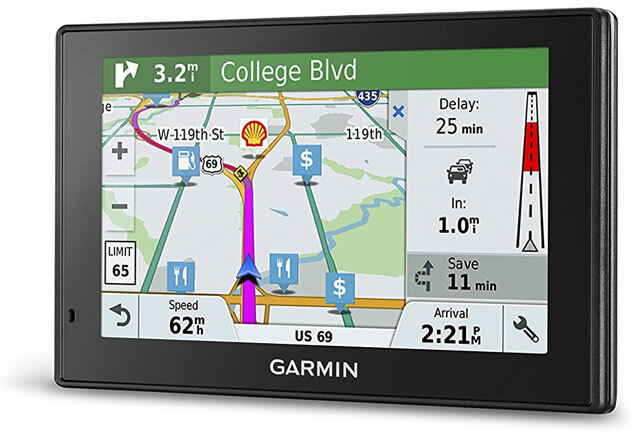 Most notably, GPS lets you navigate even when you don't have good cellular service, which makes it ideal whether you're off-roading or just traveling somewhere with poor reception. If you don't have a car that's terribly smart, a GPS adds a screen so you can easily see maps and some even connect to your smartphone and act as a hands-free system. The Garmin DriveSmart gives you the best of both worlds with the reliability of a GPS and, when synced to your smartphone, live traffic data and hands-free phone controls. The 5" touchscreen gives you a clear view of where you're going, but it's the maps that make the DriveSmart really stand out. It features comprehensive maps of North America, no internet connection required, and offers lifetime map updates, so you always have the latest info. (Though you'll have to connect the DriveSmart to Wi-Fi to download them.) Maps include business information and lists ratings from TripAdvisor, so you know whether you want to stop at a restaurant or attraction… or just keep driving. If you plan ahead, you can also download and use Google Maps on your phone without an Internet connection for free. There are two big caveats. First, you can't download large areas. You might be able to get a trip from San Diego to LA on one map. Second, the maps expire after 30 days, so you'll have to re-download them. 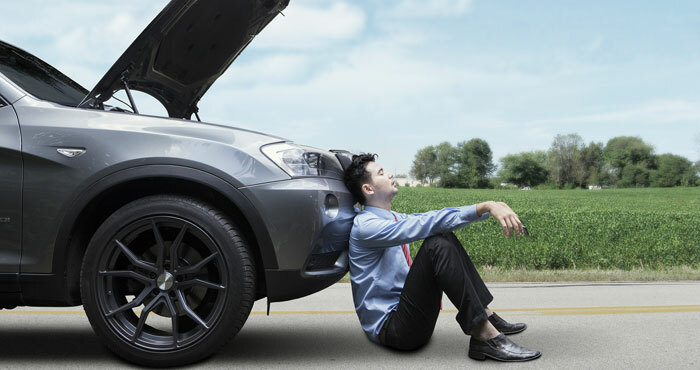 If your battery dies, you could wind up stuck on the side of the road for quite awhile even if you call a friend (or AAA). But if you pack your own jumpstart, there's no waiting required. 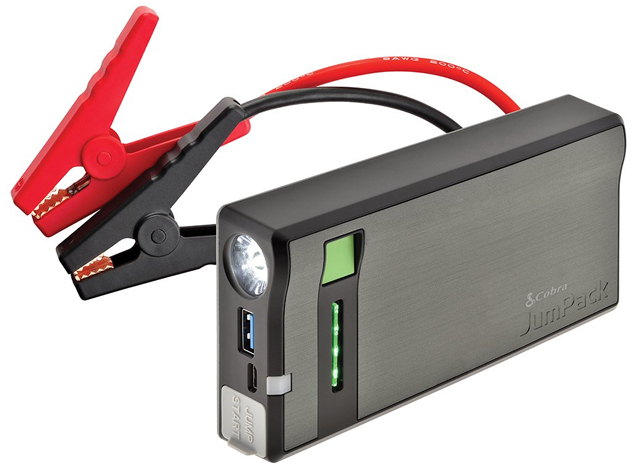 The Cobra JumPack is pricey at just under $130, but this easy jumpstarter is a real lifesaver if your battery dies. Despite its portable size — it weighs in at just .89 pounds — the JumPack is powerful enough to start most vehicles, even those with V8 engines. Using it will be familiar to anyone who's ever jumpstarted a car before: just plug jumper cables from the JumPack to your car battery, then start the car. However, you don't even have to open the hood if you don't want to: you can also plug the JumPack into the 12V port inside the car to jump it from there. It's hands-down the easiest way to deal with a dead battery. However, the JumPack is handy even if your battery doesn't die. It can charge your smartphone (though you'll need a charging cable) and has rapid charging, supporting Qualcomm Quick Charge. And, it can act as a flashlight or emergency strobe light. Those are both capabilities you want to have in your car safety kit, and you can get them all in the Cobra JumPack. Getting a flat tire can really ruin your day, but if you have the right equipment, a flat can be easy to fix. The 1-step tire repair kit is just what it sounds like: a super simple way to repair and re-inflate your tires. All you have to do is plug the Fix-A-Flat into your car's 12V outlet and then connect it to your tire. It will fill your tire with both sealant and air to get you back on the road fast. 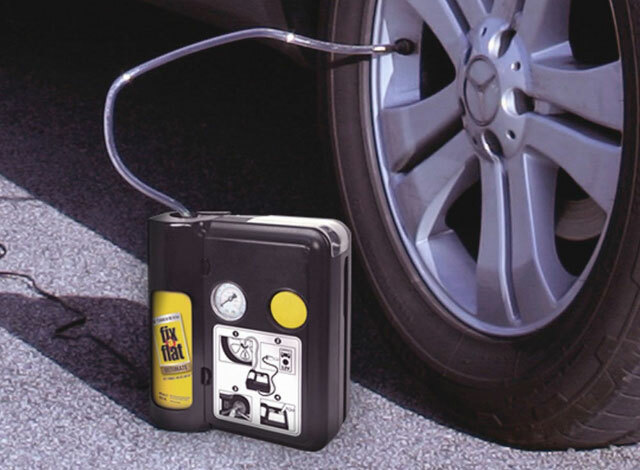 It takes just seven minutes to repair and inflate a tire — and all you have to do is plug in the Fix-A-Flat and press a button. You will have to replace the sealant after use, but for about $13 per bottle (check price on Amazon), it definitely costs less than calling a tow truck. Though jumpstarting your car or fixing a flat tire may be easy with the tools above, working on your car on the side of the road can be dangerous, especially in the dark. Keeping some hazard lights in your emergency kit helps other drivers know to give you space. The First Alert Emergency Roadside Beacon comes with three red LED lights that are waterproof and crush resistant: perfect for roadside use, no matter what the conditions. This bright white LED light isn't appropriate as a roadside hazard warning, but it's ideal for providing light to work if your car breaks down at night. (And it makes a great camping companion, too.) 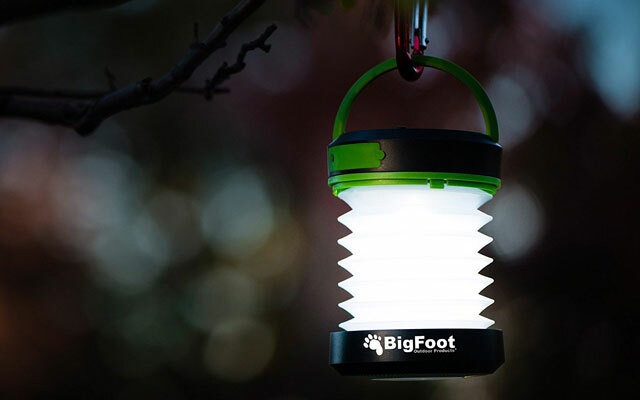 The Bigfoot lantern can be charged via its solar panel or by plugging it in, and a full charge will keep it lit for ten hours — more than long enough for even the worst roadside disaster. And unlike a flashlight, these lanterns are hands-free, so you'll have plenty of light, whether you set it on the ground next to a flat tire or hang it under the hood of your car while you jumpstart a dead battery. Dangerous weather conditions are a real risk when you're out driving, whether you're heading off the grid for a camping trip or just taking a trip across town. If you're caught out in a storm, you may be grateful for an emergency weather radio to stay up to date on current conditions — especially one that doesn't need batteries. 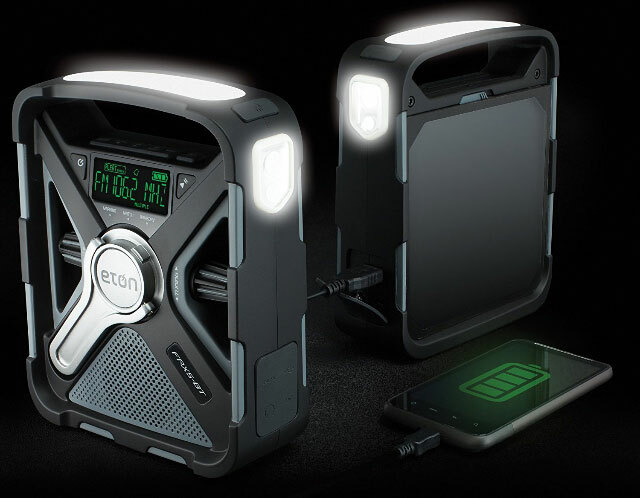 The rugged Eton FRX5BT (or the smaller Eton Scorpion II) can be charged from the wall or powered by a hand crank and has a solar panel for power, too. 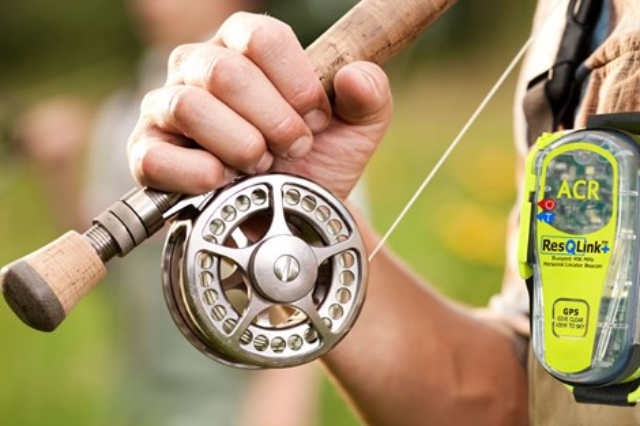 But this reliable weather radio has some great bonuses: it can charge your phone's battery via USB cable and act as a Bluetooth speaker, which makes it a particularly handy piece of gear to have for your next camping trip. The more budget-friendly Eton Scorpion II has a smaller battery and won't act as a speaker, but otherwise has the same stellar feature set as the FRX5BT — pick up whichever better fits your needs. While this may be a bit much for most car safety kits, a personal locator beacon — which contacts emergency services with your location no matter where you are — could save your life if you plan on traveling through under-populated areas. The ResQLink+ PLB uses GPS and satellite to link you to the world (though, no, you can't use it to check email or send texts), and if you're in danger, a push of a button can contact search and rescue services. This pocket-sized gadget works when cell phones won't, it is rugged enough to withstand harsh weather conditions and it doesn't have any subscription fee. Whether you're heading somewhere without good cellular service or you're worried about the next hurricane, an emergency beacon is a good idea. Though this one may also seem extreme for your car safety kit, this is another important piece of gear to carry if you're venturing far from civilization. 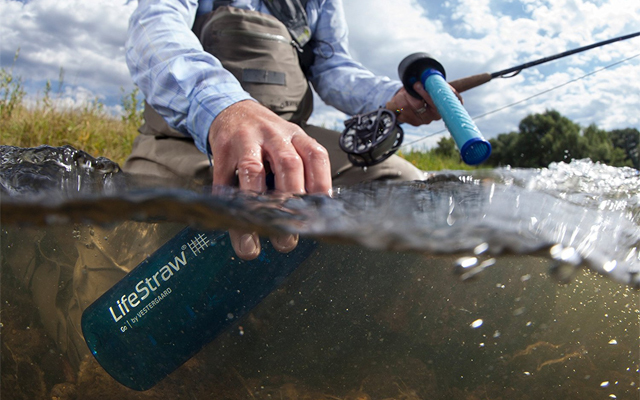 The LifeStraw Go is a water bottle with a filter that removes 99.9999% of waterborne bacteria and 99.9% of waterborne protozoan parasites from water, meaning you can find fresh water anywhere. That can be ideal if you're camping or caught in a natural disaster that disrupts access to drinking water. With the LifeStraw Go, you can fill up from any water source and the water is filtered as it passes through the bottle's straw. There are no complicated instructions to remember though you should replace the filter straw every 244 gallons. There's no reason not to buy it and toss it in your emergency kit. Being trapped in your car after an accident is a terrifying thought, but you can save yourself that worry with an emergency tool. The Lifehammer is designed to be mounted within easy reach (with an included bracket), so you'll always have help within reach. The tool includes a hammer that can break through car windows so you can escape from your vehicle when using the door isn't an option. And if the seatbelts have jammed, a super-sharp blade will slice through them — though its plastic housing keeps your fingers safe from the sharp edge. It's certainly something you never want to have to use, but it's better to have it and not need it — and at just under $15, it won't bust your budget. Why not provide another seller besides Amazon? After getting a few fakes from them, I’m hesitant to spend any serious money there again. We use Amazon because they have the broadest selection of products and, almost always, the best prices (fell disclosure: we also have an affiliate relationship with them). I would be extremely surprised if you got anything directly from Amazon that was fake. Perhaps with some of the third-party sellers, which is why you should always order directly from Amazon, when possible, but not from Amazon direct. And if you do have an issue, Amazon customer service will usually resolve quickly. Exactly right! I’ve been a Amazon customer since 2001 and have no complaints. Maybe just a bit overboard? 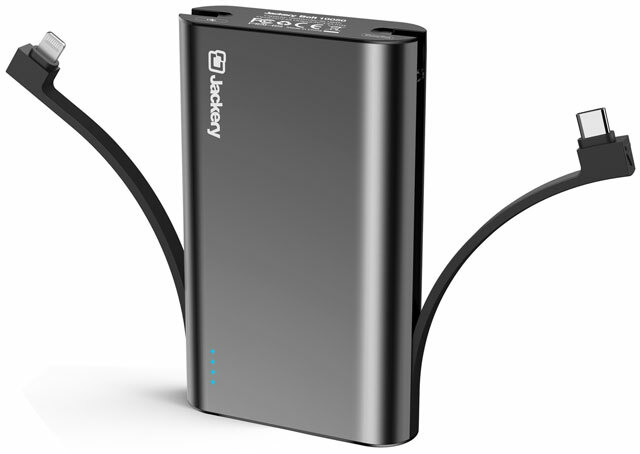 The cell phone battery pack you mentioned can be replaced with the jump-start pack, item number 3 on your list they also charge cell phones and have high capacity batteries so why carry both? Also as for buying a separate GPS unit you can just download the (free, no ads) Here! App on your cell phone and pre-download your state. Since you now have a battery charger to charge your cell phone you can just use that mapping software with your cell phones GPS and you don’t need an internet connection. And although the locator device is nice when you’re up in the mountains hiking around in the middle of nowhere, having one in the back of your car is questionable. This article strikes me as more of a sales ad than an actual emergency kit for the average person’s car. But if you have a huge trunk and lots of space to fill up with expensive gadgets then more power to you. Fix a Flat? Maybe not! a huge annoyance, do you really think robots are attacking a blog spot?